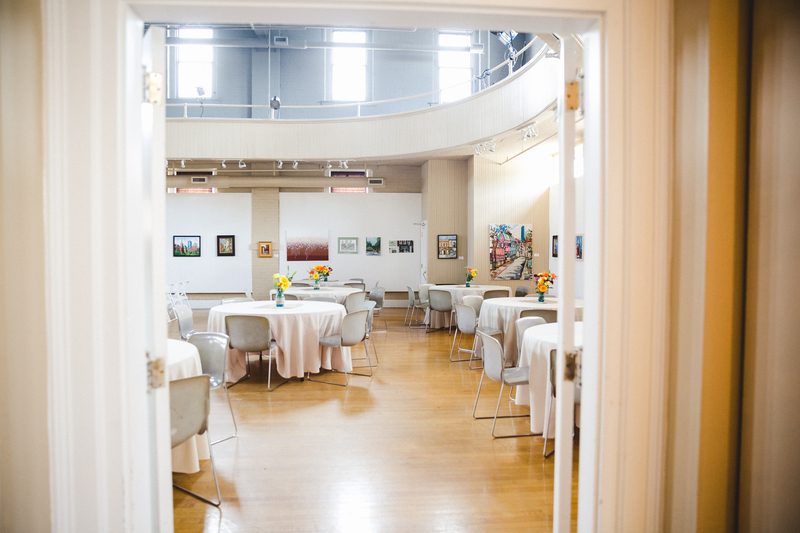 Wedding: Arts Place | Finding delight. Now I’d love to show you our wedding venue! 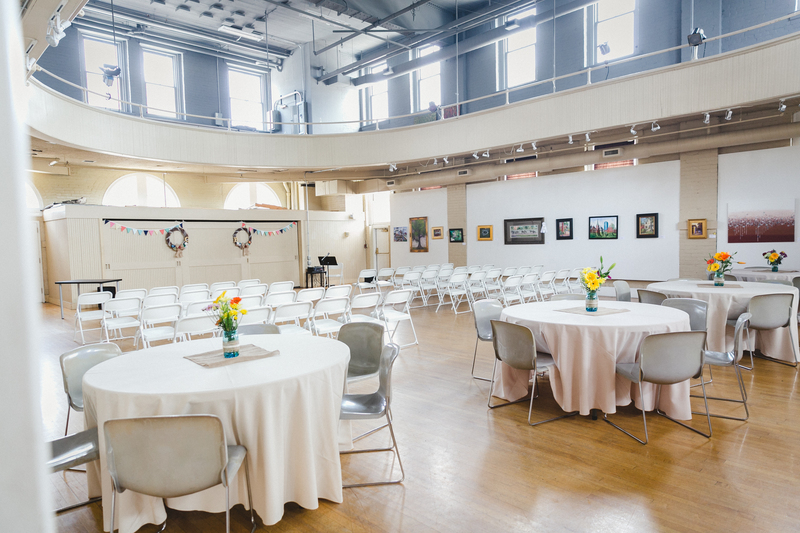 It was important to me to have a personal connection to the space where we would wed. 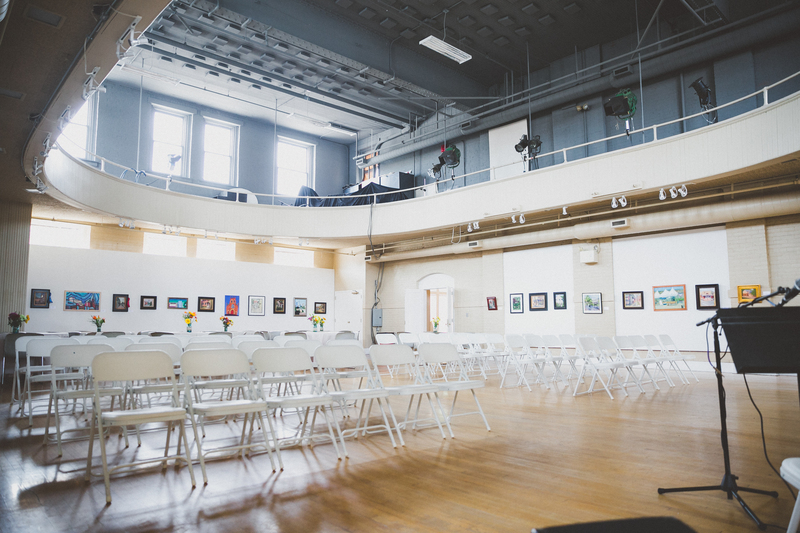 I totally believe this is possible without constricting your venue search to churches. (Church weddings are awesome, too! We just found that widening our scope allowed us to find a place that was right for us.) 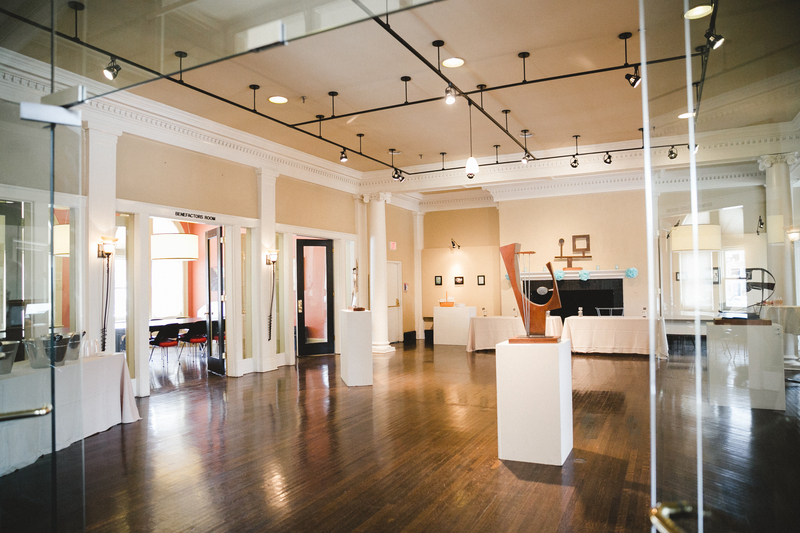 We were thrilled to find we could book Arts Place, a beautiful historic building in downtown Lexington. As I mentioned in this post, Arts Place was a very important part of my childhood. It felt right to return to for this special occasion. 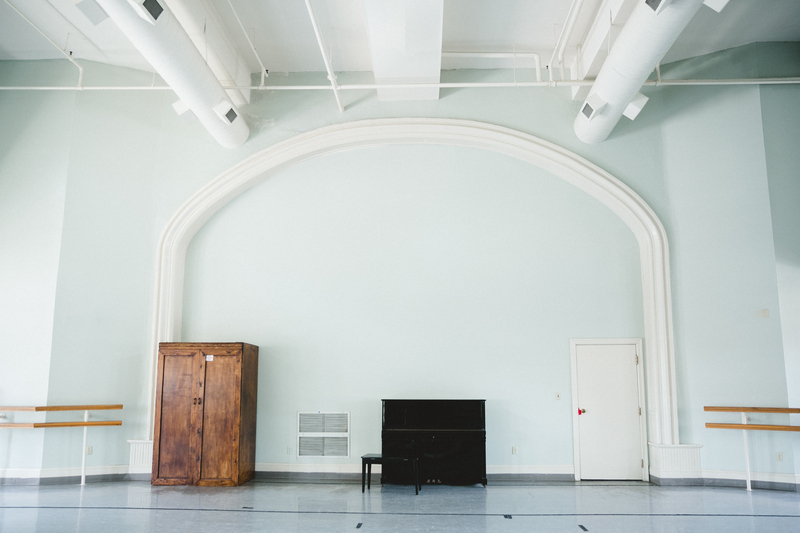 We had the run of the building for the day, and, between the art-filled walls, sun-soaked lighting, and memories of my childhood around every corner, it was everything I had hoped for and more. 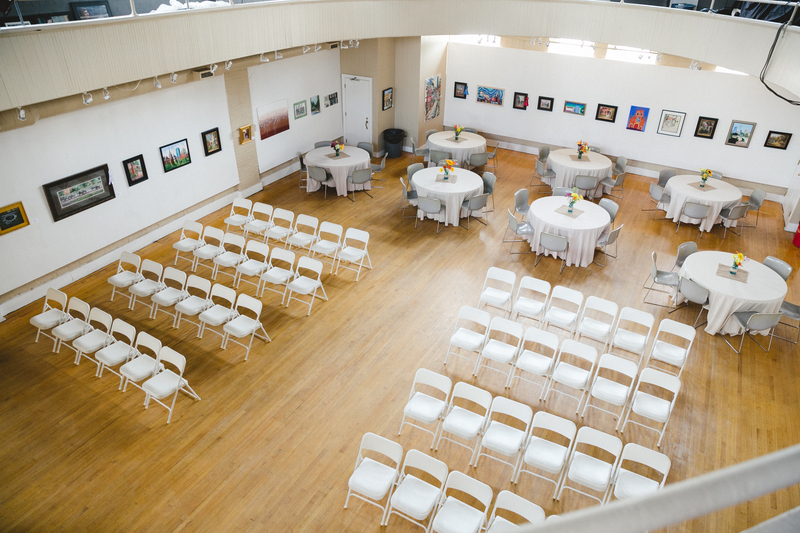 We used the gallery to serve food and set up our ceremony and dining tables in the Performance Hall. 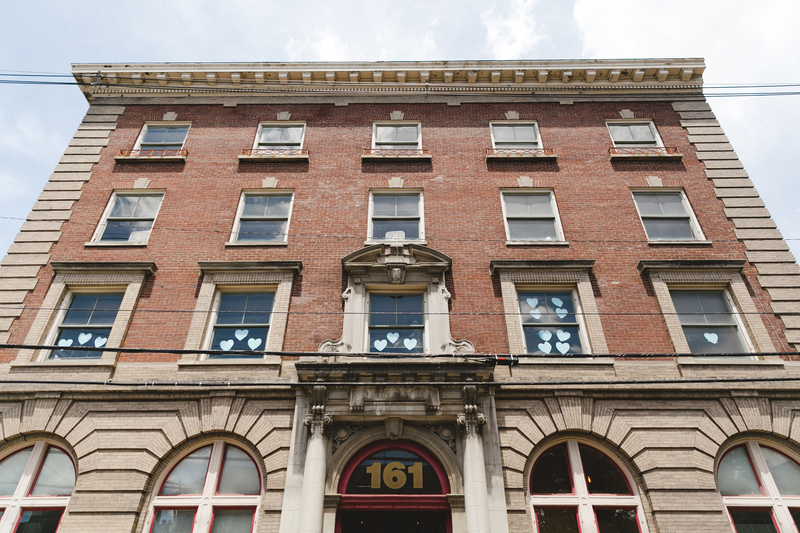 Fun fact: Arts Place was a YMCA in the early 1900’s and the Performance Hall was the gym! That’s why there’s a track running along the top. It may sound strange, but the track was a huge selling point for me on this space. Those big windows letting in natural light? A bird’s eye view of everything below. Ummm, yes please! 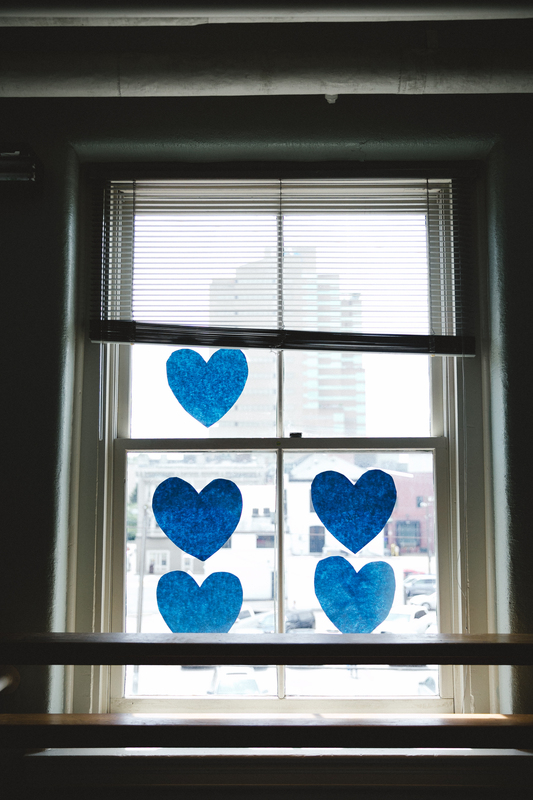 Don’t you love the blue paper hearts in the windows? Totally a happy coincidence! 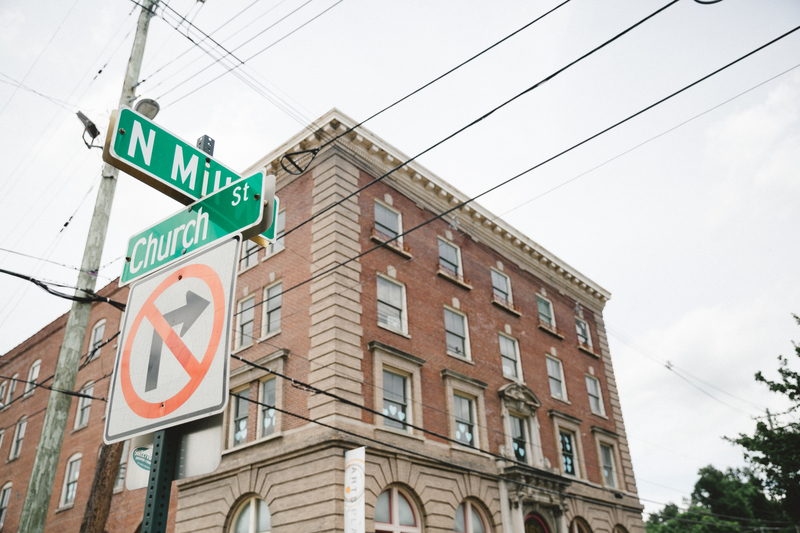 We also loved that our venue was in the heart of Downtown Lexington. 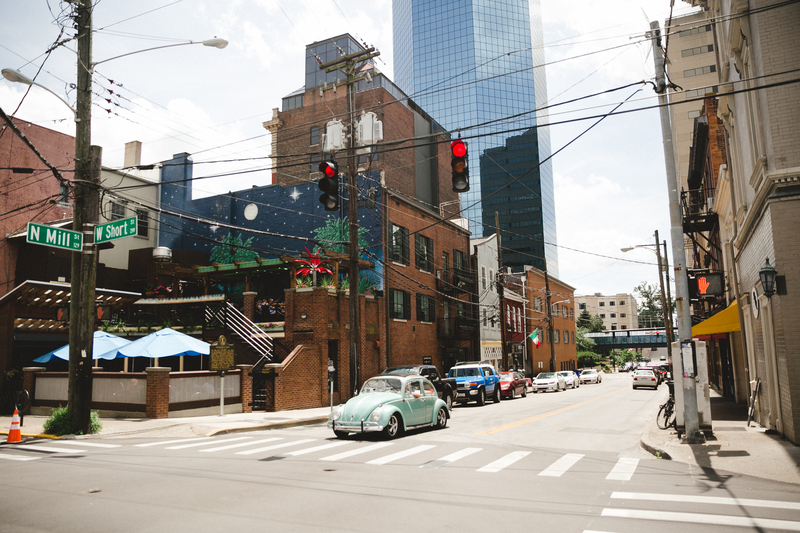 We were just a few block’s walk from other cool historic buildings, the big blue building (<- Lexington landmark! 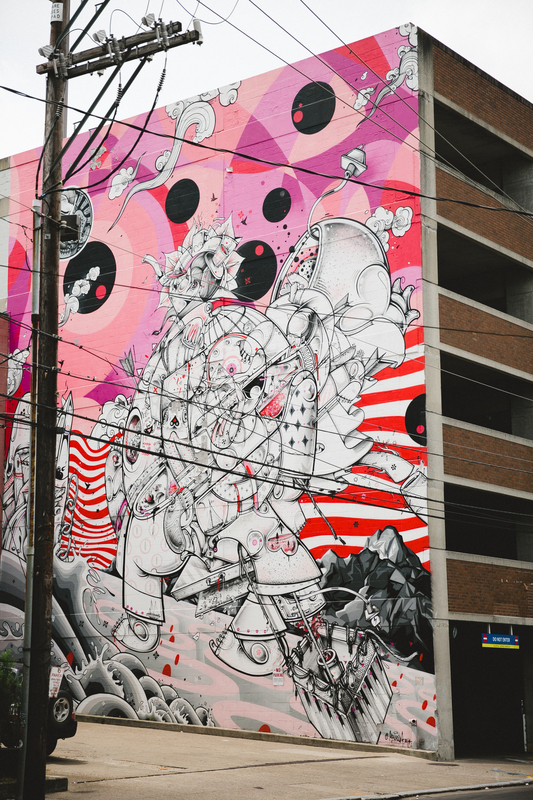 ), the Lexington Farmer’s Market, Gratz Park, our favorite downtown bars, and some groovy murals. Location, location, location! 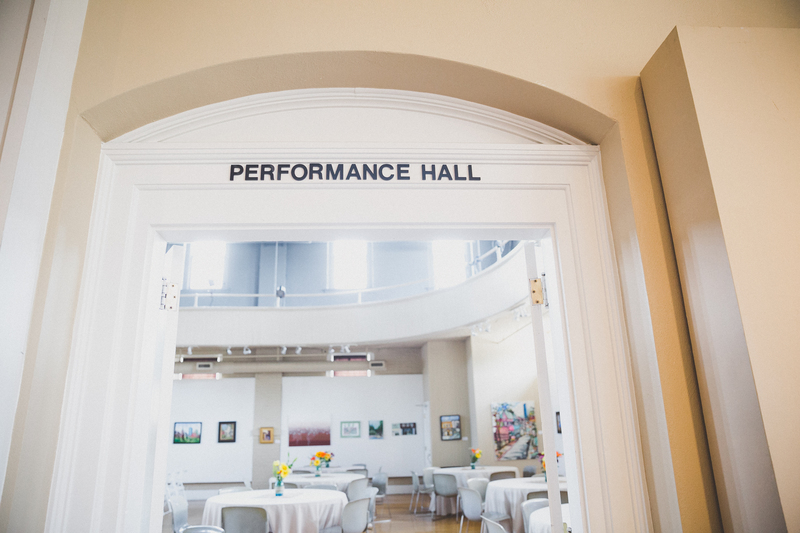 To top it off, Arts Place houses Lexington Ballet just a floor above the gallery and our ceremony space. 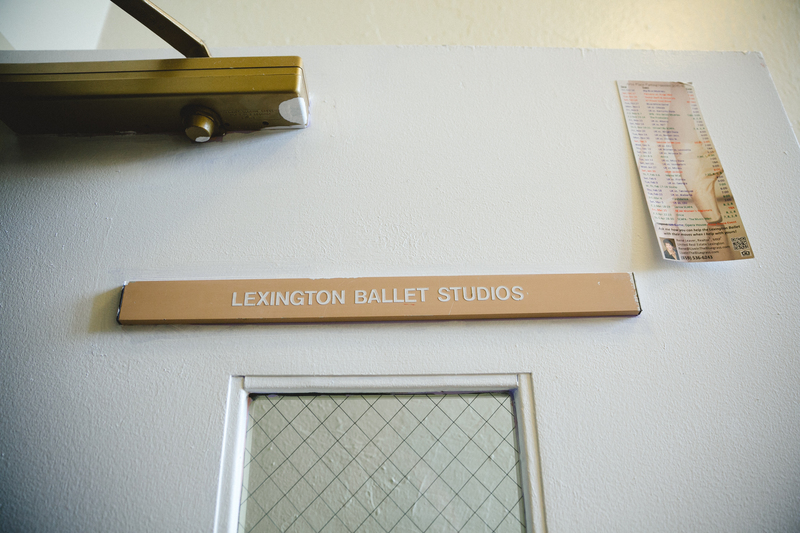 So, we were able to use my old ballet studios (!) to get ready and have our first look. I’ll admit, I may have had more butterflies than I did before my first Nutcracker rehearsal. But having my mom twist my hair into a chignon in front of a mirror I first remember gazing into at five years old, well that was pretty spectacular and surreal. 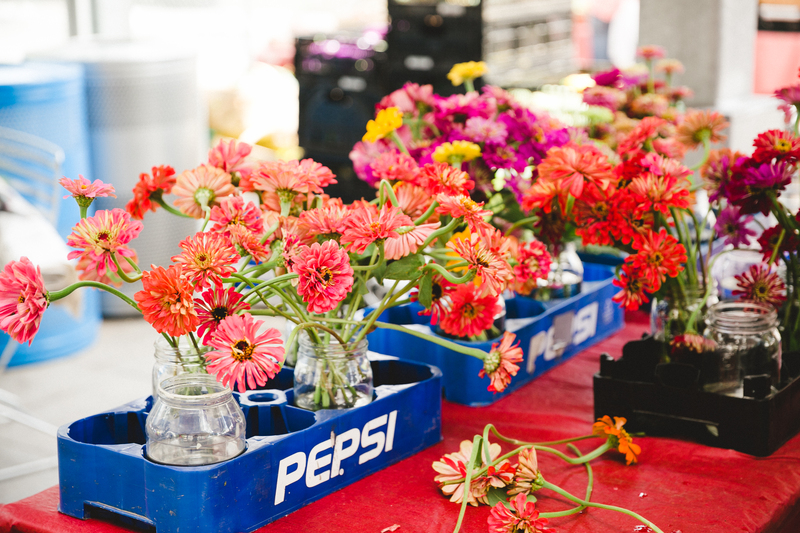 Next, I’ll share about a few DIYs and decor details, I can’t wait! See you then. Aww I love that you found a place to use that was so special to you!! So sweet!